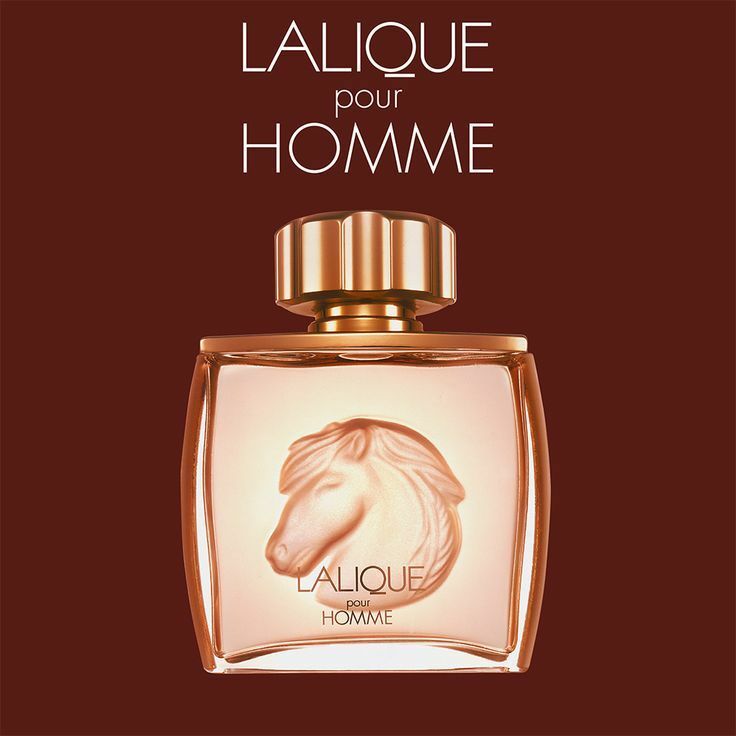 Lalique pour Homme Equus (Eau de Parfum) is a popular perfume by Lalique for men and was released in 2001. The scent is spicy-woody. It is being marketed by Lalique Group / Art & Fragrance. 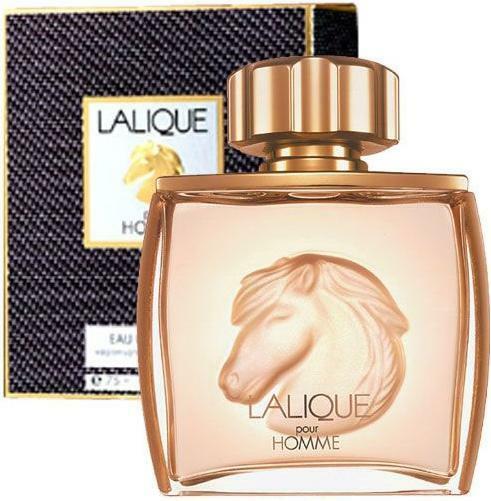 This is a variant of the perfume Lalique pour Homme Equus (Eau de Toilette) by Lalique, which differs in concentration. In my opinion Lalique is one of the most underappreciated fragrance houses. Lalique always delivers well-composed imaginative creations for a good price. Just to mention Encre Noire, Hommage a l’Homme, Hommage a l’Homme Voyageur, Perles, Amethyst, Ombre Noire... Yes, performance is sometimes subpar, but no one could deny their timeless beauty and sophistication. 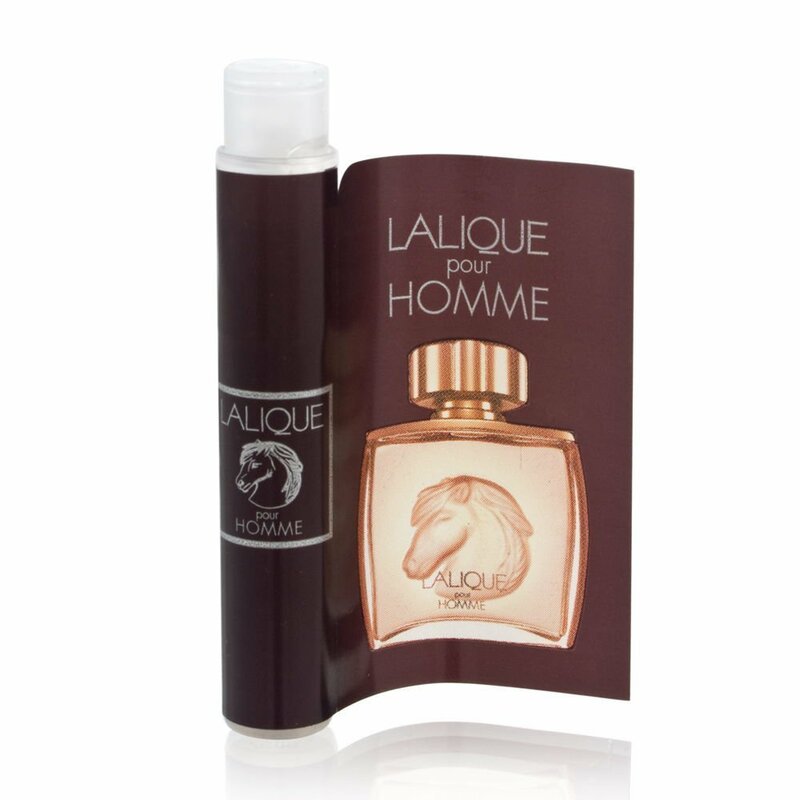 Equus is the typical story of Lalique fragrance. Launched too early, nicely polished, reminiscent of a classic era and completely under the radar. It opens with a certain Asian citrus touch that almost immediately transforms in spice cabinet nutmeg and cardamom. This introduction is rounded by juniper with gin qualities and just a hint of green violet leaf. Then gradually morphs in woody phase characterized by the guitar rosewood, subtle vetiver and musk. In the base there is also a touch of gentle powder. The most impressive is the connection between the name and the composition. From the first smell Equus transported me way back in the past, directly in the circus. Although it is clean, polite and well groomed, underneath the surface is a funky animal hidden note, probably by the usage of some woods. Equus is very natural smelling composition. Relaxing as a walk through a peaceful forest on a sunny day. The sun is muted by ancient trees, but still bright enough to enjoy the walk. A composition that came out too early. Later this theme will be relaunched in a denser way inside Spicebomb and Bvlgari Man in Black. It has some qualities of radiant Perles, but still, it is not its male counterpart. A beautiful woodsy fougere that confirms my theory that 2000s were the most creative years for perfumes. In front of me stands a small, rather inconspicuous little cupboard made of wood. I'll open the door. Even before I can see the contents, the scent of various herbs and spices flows towards me. It smells dry and bitter and also fresh. The juniper is to be noticed right at the front and at the beginning at the strongest. Next to it there are some cardamom capsules and provide a slightly exotic spice. Further back I find nutmeg and a small bouquet of wild herbs. On the inside of the door hang a few dried lemon slices to decorate and give off their fresh, sour scent. The longer I examine the contents of the cupboard, the more the spicy aromas unite with the fresh, untreated, light wood of the container. But unfortunately the scent evaporates - I quickly close the door. But already tomorrow I will send my nose again on the smell journey into the inside of the spice cupboard! This mesmerizer caused me to follow a strange man onto an elevator and stand in the doors, asking what he was wearing. 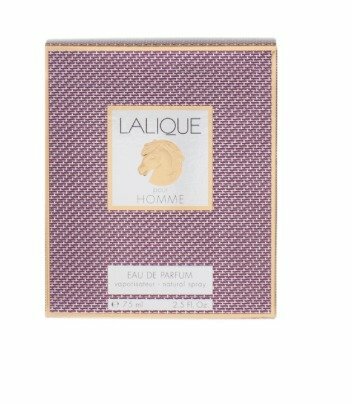 Understanding me fully, he answered quite seriously but all I heard was "Lalique Pour Homme" before I stepped back and let him get on his way. Bad manners, yes, but there are worse things—like never finding out what this was! 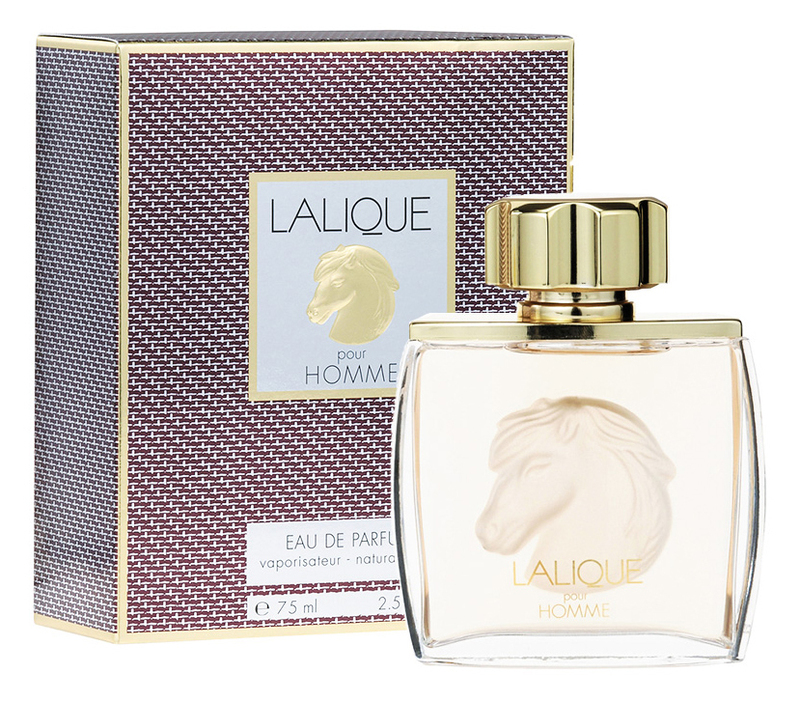 I panicked when I discovered that Lalique Pour Homme comes in versions: Lion, Horse (Equus), Deer (Le Faune), also Cristal which includes Panther, Bouddha and Athletes. Off I went to the nearest Lalique counter, to no avail except narrowing it down to this and the one above (Lion) because they weren't in stock. I ordered them both from an online discounter and, voila! The elevator man was wearing the intoxicant, Equus. It has Juniper, mainly. Also cardamom and citrus zest in the top. Violet leaf, Mace (mace? oh, the seasoning) and Sequoia wood in the heart. When I put the test strip to my nose, I didn't want to interrupt smelling to take it down and do a skin test. On paper, my nose loved it as much as faves of this group: Pour Monsieur and Heritage. Okay, skin test. Yum to the max. I love this fresh, appealingly bracing scent. My nose does twitch a tiny tad, eventually, so there may be an aromachemical in there, but not enough to close a nose like so many new ones do. I received this as a gift and didn't expect much but boy was I wrong. I will definitely be buying another bottle for myself soon. This is a very nice woody-spicy that makes me feel like I am walking in a redwood forest on a hot and dry Summer day.